Need help navigating GM earnings? U.S. stocks rose on Thursday after Wednesday's decline on strong earnings reports from Caterpillar and 3M. Also, U.S. data showed a decline in Americans filing for jobless benefits. The bullish sentiment on Wall Street may have been spoiled by fresh reports of a doctor who recently returned from West Africa being tested for Ebola in New York City. The doctor developed Ebola-like symptoms recently, despite previously tested for the disease. The closely watched CBOE Volatility Index, commonly referred to as the "fear index," fell 7.7 percent to 16.56. New Home sales will be reported at 10:00 a.m. EST on Friday before traders and investors can look forward to the weekend break. The Dow gained 1.32 percent, closing at 16,677.90. The S&P 500 gained 1.23 percent, closing at 1,950.82. 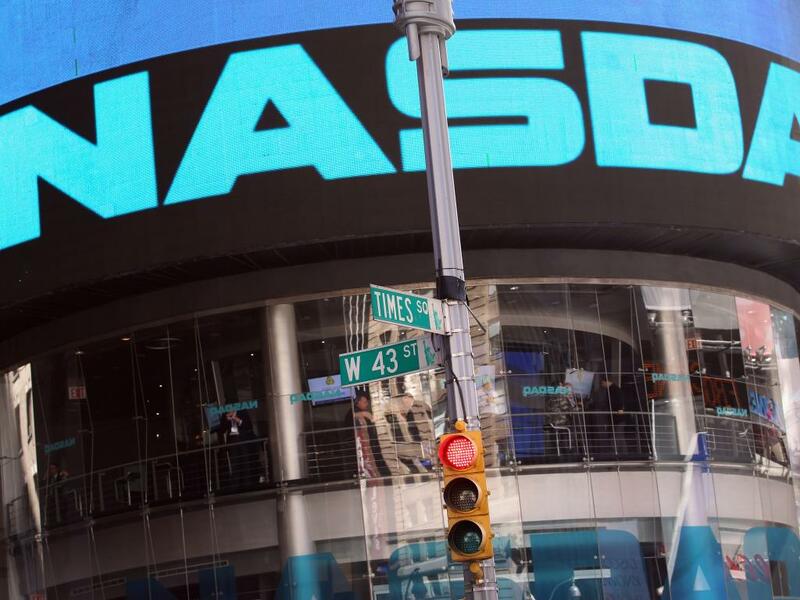 The Nasdaq gained 1.60 percent, closing at 4,452.79. Gold lost 1.04 percent, trading at $1,232.60 an ounce. Oil gained 1.89 percent, trading at $82.04 a barrel. Silver lost 0.18 percent, trading at $17.20 an ounce. Initial Jobless Claims rose 17,000 to 283,000 (versus expectations of 285,000) from 266,000 last week. Continuing claims fell 38,000 to 2.35 million. September Chicago Fed National Activity Index rose to +0.47 (versus expectations of -.01) from -0.25 in August. August FHFA Housing Price Index rose 0.5 percent month over month (versus expectations of 0.4 percent) to 212.7 m after rising 0.2 percent in July. October Flash U.S. PMI Manufacturing fell to 56.2 (versus expectations of 57.0) from 57.5 in September. September Leading Index rose 0.8 percent (versus expectations of 0.6 percent) to 104.4 after rising 0.2 percent in August. EIA Natural Gas Inventory rose 94 bcf (versus expectations of 97 bcf) after rising 94 bcf last week. The International Monetary Fund urged Japan to proceed with a second tax increase in 2015 after increasing sales taxes to eight percent from five percent in April. Analysts at Brean Capital downgraded 3D Systems (NYSE: DDD) to Hold from Buy while removing a previous $58 price target. Shares hit new 52-week lows of $36.17 before rebounding and closing the day at $37.37, up 1.91 percent. Analysts at Barclays maintained an Equal-Weight rating on AT&T (NYSE: T) with a price target lowered to $34 from a previous $35. Analysts at JPMorgan maintained a Neutral rating with a price target lowered to $34 from a previous $35. Analysts at Credit Suisse maintained an Outperform rating with a price target lowered to $39 from a previous $41. Shares lost 2.43 percent, closing at $33.66. Analysts at Barclays initiated coverage of Alibaba (NYSE: BABA) with an Overweight rating and $107 price target. Shares gained 3.08 percent, closing at $94.45. Analysts at Credit Suisse downgraded Boeing (NYSE: BA) to Neutral from Outperform with a price target lowered to $133 from a previous $162. Analysts at Citigroup maintained a Buy rating with a price target lowered to $146 from a previous $168. Shares gained 0.48 percent, closing at $122.03. Analysts at JPMorgan maintained a Neutral rating on Dow Chemical (NYSE: DOW) with a price target lowered to $49 from a previous $50. Analysts at Citigroup maintained a Buy rating with a price target lowered to $55 form a previous $58. Analysts at Deutsche Bank upgraded Dow Chemical to Buy from Hold with a price target raised to $58 from a previous $57. Shares gained 0.11 percent, closing t $47.66. Analysts at FBR Capital maintained a Market Perform rating on Freeport-McMoRan (NYSE: FCX) with a price target lowered to $36 from a previous $38. Shares gained 0.23 percent, closing at $30.96. Analysts at Argus Research upgraded Lockheed Martin (NYSE: LMT) to Buy from Hold with a $193 price target. Shares gained 2.65 percent, closing at $180.67. Analysts at BB&T Capital initiated coverage of Urban Outfitters (NASDAQ: URBN) with a Hold rating. Shares gained 2.15 percent, closing at $30.70. Analysts at Brean Capital initiated coverage of Lululemon Athletica (NASDAQ: LULU) with a Buy rating and $50 price target. Shares gained 1.37 percent, closing at $41.41. Vale (NYSE: VALE) reported its third quarter iron ore output rose 3.1 percent to 85.7 million metric tons from 83.1 million metric tons a year ago. Shares gained 0.09 percent, closing at $10.83. According to a post on Seeking Alpha, and repeated on the Wall Street Journal, Sears Holdings (NASDAQ: SHLD) plans to close over one hundred Sears and Kmart locations, many of which will occur before the end of the year. Shares gained 4.45 percent, closing at $35.95. According to German media sources, Deutsche Telekom is still looking for a buyer for its partially owned T-Mobile U.S. (NYSE: TMUS) America Movil (NYSE: AMX) was named as a possible suitor. Shares of T-Mobile gained 2.66 percent, closing at $27.77 while shares of America Movil gained 0.04 percent, closing at $23.75. According to the New York Post, KKR (NYSE: KKR) is considering an acquisition of PetSmart (NASDAQ: PETM). Shares of KKR gained 1.82 percent, closing at $21.76 while shares of PetSmart lost 0.35 percent, closing at $68.64. Facebook (NASDAQ: FB) unveiled Rooms, a new app that allows users to create discussion rooms over specific topics. Shares hit new 52-week highs of $80.63 before closing the day at $80.04, up 2.13 percent. According to Bloomberg, Alibaba's Jack Ma will meet with Lions Gate Entertainment (NYSE: LGF), confirming prior market chatter over the past few months of a potential relationship between the companies. Shares of Lions Gate gained 3.26 percent, closing at $31.35. DaVita Healthcare Partners (NYSE: DVA) has agreed to pay $400 million to settle a civil whistle-blower suit from a former employee in 2009. Shares hit new 52-week highs of $76.68 before closing the day at $76.26, up 1.29 percent. Brookfield Asset Management (NYSE: BAM) offered $23 to acquire the remaining 30 percent of shares it does not own in Brookfield Residential (NYSE: BRP). Shares of Brookfield Asset gained 1.99 percent, closing at $46.57 while shares of Brookfield Residential gained 23.04 percent, closing at $23.39. Yelp (NYSE: YELP) reported its third quarter results on Wednesday after market closed. 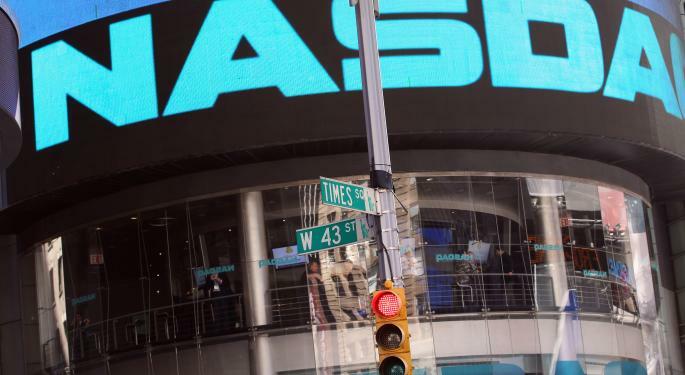 The company guided its fourth quarter revenue to be $107 million $108 million (below the consensus estimate of $111 million), representing a 52-percent rise from a year ago, which lags the 60 percent plus growth the company saw over the previous quarters. Shares lost 18.60 percent, closing at $57.17. Nokia (NYSE: NOK) reported its third quarter results this morning. The company earned $0.24 per share, beating the consensus estimate of $0.24. Revenue of $4.22 billion beat the consensus estimate of $3.90 billion. Shares gained 5.93 percent, closing at $8.40. Comcast (NASDAQ: CMCSA) reported its third quarter results this morning. The company earned $0.73 per share, beating the consensus estimate of $0.71. Revenue of $16.79 billion missed the consensus estimate of $16.81 billion. Shares gained 3.36 percent, closing at $53.22. Under Armour (NYSE: UA) reported its third quarter results this morning. The company earned $0.41 per share, beating the consensus estimate of $0.40. Revenue of $938.0 million beat the consensus estimate of $925.30 million. Shares lost 2.59 percent, closing at $64.34. Southwest Airlines (NYSE: LUV) reported its third quarter results this morning. The company earned $0.55 per share, beating the consensus estimate of $0.51. Revenue of $4.80 billion beat the consensus estimate of $4.78 billion. Shares lost 2.78 percent, closing at $33.25. Recommended: Amazon Expected To Lose $0.74/Share In Q3: What Else Do Investors Need To Look Out For? Caterpillar (NYSE: CAT) reported its third quarter results this morning. The company earned $1.72 per share, beating the consensus estimate of $1.36. Revenue of $13.55 billion beat the consensus estimate of $13.27 billion. Shares gained 4.97 percent, closing at $99.27. 3M Company (NYSE: MMM) reported its third quarter results this morning. The company earned $1.98 per share, beating the consensus estimate of $1.96. Revenue of $8.14 billion missed the consensus estimate of $8.24 billion. Shares hit new 52-week highs of $147.92 before closing the day at $145.08, up 4.41 percent. General Motors (NYSE: GM) reported its third quarter results this morning. The company earned $0.97 per share, missing the consensus estimate of $1.00. Revenue of $39.30 billion missed the consensus estimate of $39.60 billion. Shares lost 1.21 percent, closing at $30.93. After the market closed, Amazon.com (NASDAQ: AMZN) reported its third quarter results. The company lost $0.95 per share, worse than the consensus estimate of a loss of $0.73. Revenue of $20.58 billion missed the consensus estimate of $20.84 billion. Shares were trading lower by 9.54 percent at $283.30 following the earnings release. After the market closed, Pandora Media (NYSE: P) reported its third quarter results. The company earned $0.09 per share, beating the consensus estimate of $0.08. Revenue of $239.60 million beat the consensus estimate of $238.57 million. Share were trading lower by 3.50 percent at $22.31 following the earnings release. After the market closed, Microsoft (NASDAQ: MSFT) reported its first quarter results. The company earned $0.54 per share, beating the consensus estimate of $0.49. Revenue of $23.20 billion beat the consensus estimate of $22.02 billion. Shares were trading higher by 2.73 percent at $46.25 following the earnings release. "We are also reminded that attacks on our security personnel and our institutions of governance are, by their very nature, attacks on our country. On our values, on our society, on us, Canadians, as a free and democratic people who embrace human dignity for all. But let there be no misunderstanding, we will not be intimidated. Canada will never be intimidated.” – Canadian Prime Minister in a statement to Canadians following Wednesday's attacks in Ottawa.